Thank you very much for coming to Earth Celebration 2013. 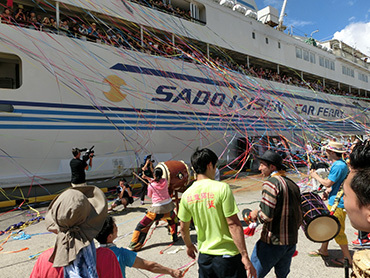 This picture shows our farewell taiko at the port on the 26th. 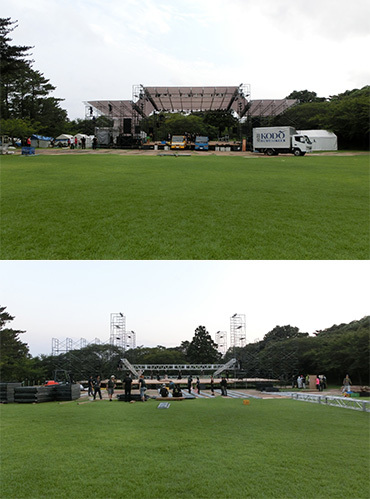 Yoko Fujimoto & Masami MIyazaki's "Song Jack-in-the-Box": We're getting ready excitedly!!! An hour of singing nostalgic Japanese nursery songs while playing taiko and other rhythmical instruments. Please take part in this fun time with your kids! We are waiting for you all and hope it's a big group! Notes: This event will be conducted in Japanese. EC 2013 is this weekend! We are looking forward to seeing everyone here!!! 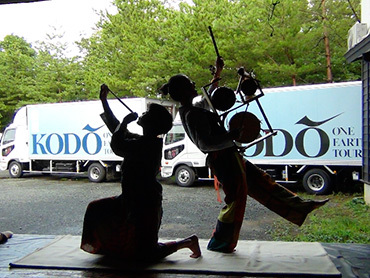 Kodo Participation in Recording of Fuyumi Sakamoto's Enka Song "Otoko no Himatsuri"
Kodo took part in the recording of Fuyumi Sakamoto's first enka (traditional-style Japanese popular ballad) song in five years, "Otoko no Himatsuri" (Men's Fire Festival). 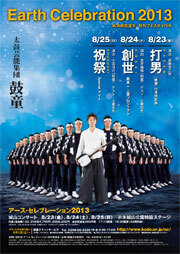 The theme of this song is Wakayama Prefecture's renowned Nachi Fire Festival. 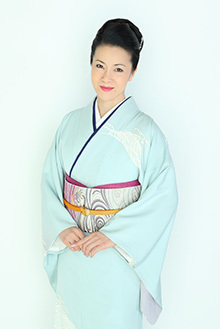 This piece joins Ms. Sakamoto's enka repertoire of "male songs" and "rousing anthems to fire up Japanese men." 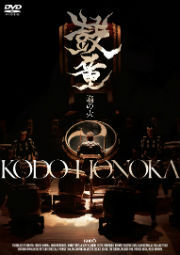 Kodo's Tomohiro Mitome, Mitsuru Ishizuka, and Tsuyoshi Maeda participated in the recording.